These applications are used on your mobile device to control your UAS and automate flight plan / imagery collection. GS Pro (also known as Ground Station Pro) is an iPad app designed to control or plan automatic flights for DJI aircraft. Through its clear, concise interface, complex flight missions can be planned with a few taps. GS Pro will then automatically take pictures at pre-set waypoints, providing the accuracy required for precision mapping. 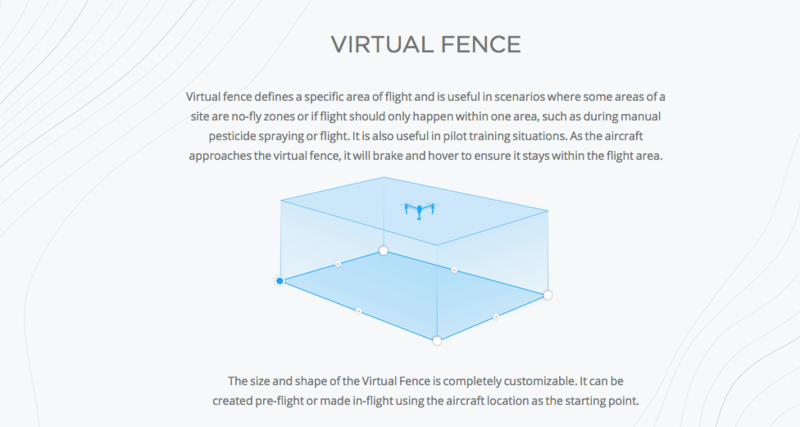 A Virtual Fence feature increases safety and ease of use by locking the aircraft’s height and speed within a designated area. 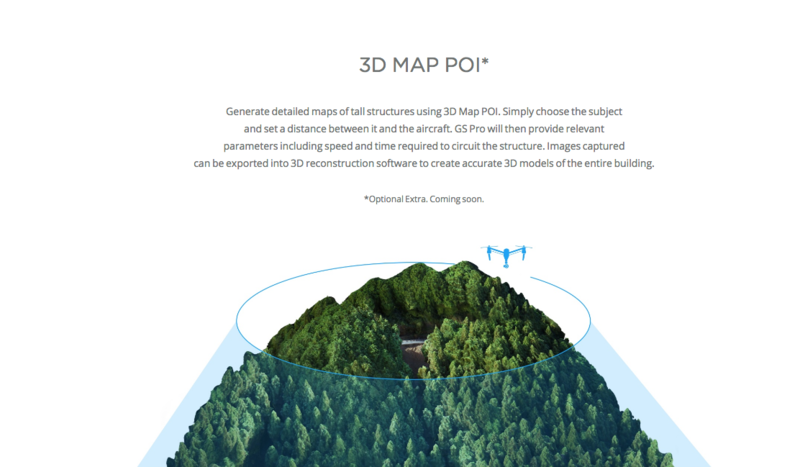 With these features, GS Pro dramatically increases the efficiency of various industrial applications, including but not limited to, aerial imaging, architecture, precision agriculture, electrical inspections, search and rescue, safety control, and more actions, search and rescue, safety control, and more. The graphic below shows Map Pilot for iOS and a standard imagery collection grid. Note the imagery overlap is set to 80/80.